We Install, Repair and Service Gas Systems. Call us now on 0403 883 638 and we will have our "Rapid Response Team" to help you. If you are in need of a gas fitter in Perth, the qualified team of gas fitters at Do It All Plumbing can install and repair all your gas appliances, fittings and copper piping (up to 50mm) safely and swiftly. We can also safely maintain and replace natural and LPG gas fixtures in your home or office, as well as check for leaks in your appliances and gas system. This helps to ensure your gas system is running as efficiently as possible. 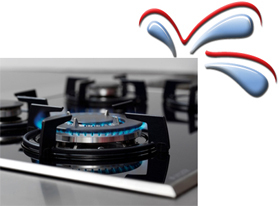 In the event of leaking gas or other urgent problems, we also provide a 24/7 emergency gas fitting service. Click here to contact Do It All Plumbing today – the reliable and reputable gas fitters in Perth.